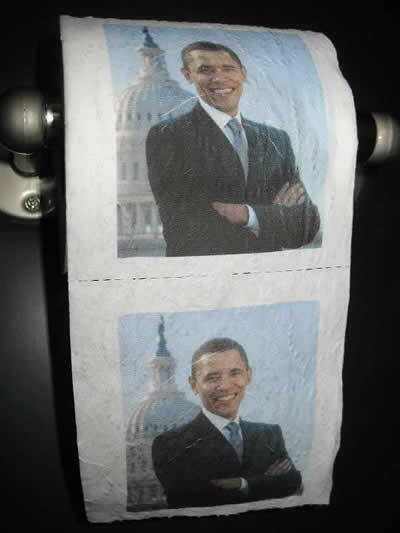 This is just one of the three different pictures of Obama on toilet paper you can order from the creator. Besides Obama they also feature Bush, Hillery, and Osama, and offer custom jobs. See also other Obama products; coins, zombies, 'kicks' (Shoes), Mao apparel, an Obama Flag, a Heroin Brand, Obama on Mount Rushmore, and Obama Condoms.